On October 10, 2018, the US Supreme Court heard oral arguments in the case of Nielsen v. Preap, which concerns the scope of the mandatory detention provisions of Sec. 236(c) of the Immigration and Nationality Act (INA). The case was brought as a class action by affected aliens who asserted that, in situations where non-citizens had been released from criminal custody and were not immediately transferred to the custody of US Immigration and Customs Enforcement (ICE), but nevertheless were subsequently apprehended and detained by ICE months or years after their incarceration had ended, those non-citizens would not be subject to mandatory detention and would be entitled to a bond hearing before an Immigration Judge. The stakes in this case are high, when one considers that every day in the United States around 30,000 non-citizens are held in jails and prisons by immigration authorities pending their removal from the United States. Its outcome will turn on the Court's interpretation of the phase "when the alien is released" contained in the mandatory detention provisions found at 8 USC 1226(c), which corresponds to INA Sec. 236(c). This section authorizes immigration authorities to hold in custody "criminal aliens" for the duration of their immigration court proceedings and, if an order of removal is entered against the alien, continue to hold them in detention until their physical removal from the United States. The phrase "criminal alien" is a term of art meaning non-US citizens who have been convicted of one or more of the specified offenses. 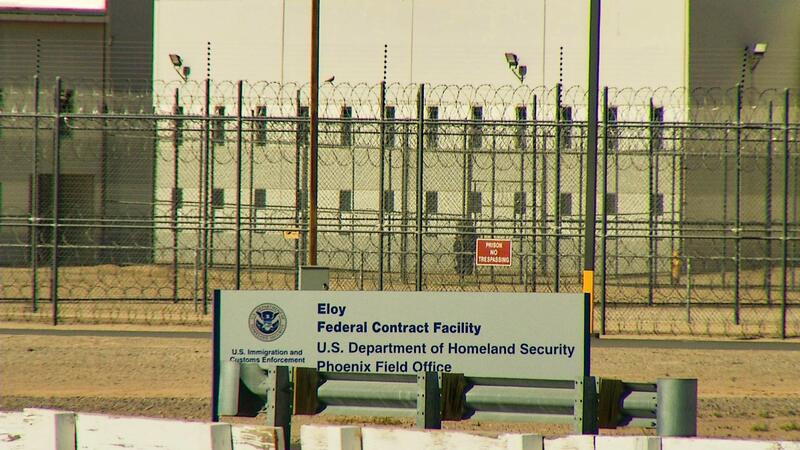 The Government's argument is that the phase "when the alien is released" in the statute can refer to any time after release from criminal custody, so that aliens may be detained weeks, months or years after release and upon apprehension by ICE those aliens remain subject to mandatory detention. (D) is inadmissible under section 212(a)(3)(B) or deportable under section 237(a)(4)(B) , when the alien is released, without regard to whether the alien is released on parole, supervised release, or probation, and without regard to whether the alien may be arrested or imprisoned again for the same offense. (2) Release - The Attorney General may release an alien described in paragraph (1) only if the Attorney General decides pursuant to section 3521 of title 18 that release of the alien from custody is necessary to provide protection to a witness, a potential witness, a person cooperating with an investigation into major criminal activity, or an immediate family member or close associate of a witness, potential witness, or person cooperating with such an investigation, and the alien satisfies the Attorney General that the alien will not pose a danger to the safety of other persons or of property and is likely to appear for any scheduled proceeding. A decision relating to such release shall take place in accordance with a procedure that considers the severity of the offense committed by the alien. The district court certified the class, which included “individuals in the state of California who are or will be subjected to mandatory detention under 8 U.S.C. section 1226(c) and who were not or will not have been taken into custody by the government immediately upon their release from criminal custody for a Section 1226(c)(1) offense.” The court also issued a preliminary injunction directing the government to provide all class members with a bond hearing pursuant to § 1226(a). The Ninth Circuit affirmed, agreeing with the First Circuit and rejecting reasoning followed in four other circuits, holding that the immigration detention at issue under § 1226(c) must take place promptly upon the non-citizen’s release from criminal custody. The appellate court explained that the statute’s plain language reflected an immediacy with regard to when the immigration detention must take place in relation to the release from custody, and rejected arguments by the government that would allow for detentions to occur following significant delays. This split in the circuits over such an important issue prompted the US Supreme Court to accept certiorari in this case. A decision can be expected several months from now.